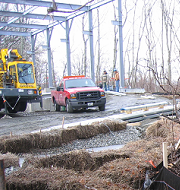 The Gifford Design Group was employed by the City of East Providence to create a system of trails through an existing wetland. 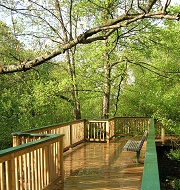 The trailway consists of a series of at-grade walking paths with raised walkways to cross wetland areas. To limit any environmental disturbance from the construction of the path, we utilized a state-of-the-art helical anchor system for the support structure of the raised portions of boardwalk. The Gifford Design Group worked with the Town of Jamestown to provide wetland services for this important public works endeavor. Our firm provided the wetland delineation during the initial stages of the project and developed a wetland mitigation plan. The final result is a multifaceted mitigation project that includes both freshwater and coastal wetland restoration while protecting the significant archeological resources on site.